Love, hard work, and dedication are just some of the elements that create a successful marriage. After all the ups and downs, adventures, challenges, and joys, one very special way to celebrate your life together is a vow renewal ceremony. Many couples choose a vow renewal as part of a special anniversary celebration. For others, it is the perfect way to reaffirm their commitment after a difficult period in the relationship. Some just want to remind each other, and the world, that they would happily do it all over again. Whatever your reason, FTD has created a guide to help you plan the perfect vow renewal. 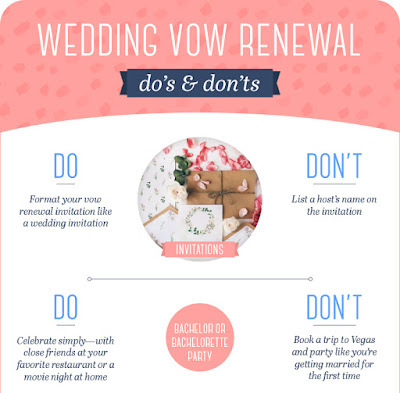 From where the ceremony should be held, to which guests you should invite, it includes tips on the most common do's and don'ts of vow renewal etiquette. Check out the vow renewal guide now to get started on planning yours. Click on this image to see the complete guide.